Mortgage assumption is a built-in option with FHA or VA loans. 1. What is an Assignment of Trust Deed? 2. How Long Can Co-Signers Stay on a Mortgage Loan? 3. What Is Mortgage Assignment vs. Mortgage Assumption? Transferring mortgage ownership is the same as the process for assuming a loan. The transaction doesn’t change the terms or length of the loan but removes the original owner from any legal and financial responsibility for the debt and adds a third party who becomes legally responsible for repaying the loan. For some, transferring mortgage ownership might sound like a desirable option, but it is neither a common, and many mortgages don't allow this. Circumstances of the sale can immediately or preliminarily qualify a loan for a transfer of mortgage ownership. A lender can’t prevent the transfer if it results from an inheritance and the new owner will be living in the home; if a joint tenant on the loan dies; or in a divorce situation in which one of the parties gets the home in the divorce settlement. Mortgage ownership transfers are an option with FHA and VA loans as long as the new owner meets credit requirements. 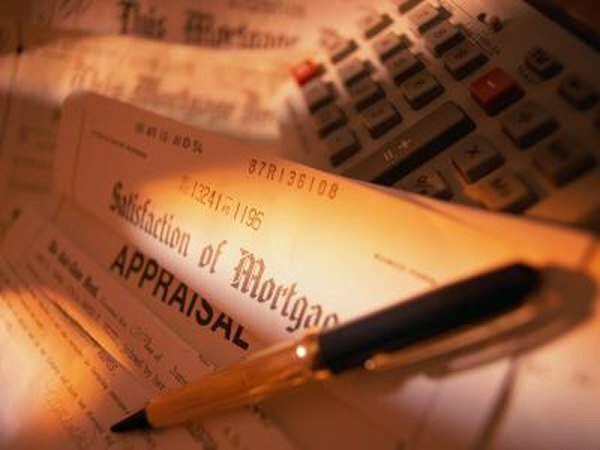 Review your mortgage documents to see whether transferring mortgage ownership is an option. The defining factor is whether the mortgage includes a “due-on-sale” clause. If it does, the lender has the legal right to require payment in full at closing. Although this doesn’t necessarily mean you can’t transfer mortgage ownership, it means the decision depends on the the requirements of the bank or other financial institution and is completely up to the lender. Contact the FHA, VA or the lender to find out the requirements for transferring mortgage ownership. The FHA has a creditworthiness requirement the new owner must meet and also requires the current owner to submit a “release of liability” form before it will approve a mortgage ownership transfer. The VA requires the loan be current in regard to payments, requires the new owner to meet credit requirements and also requires the current owner to submit a release of liability. Lender-based procedures and requirements -- if the transfer is permitted -- vary according to the lender. Consult with an attorney for advice and assistance in completing a mortgage ownership transfer in the case of an inheritance, joint tenant or divorce action takeover. For all others, follow the process outlined by the FHA, VA or other lender. You should understand, however, that if the new owner does not meet credit guidelines, the transfer will not be approved. Expect loan processing and the credit review to take a minimum of about 45 days and understand that until the transfer closes you are still responsible for making payments on the loan.